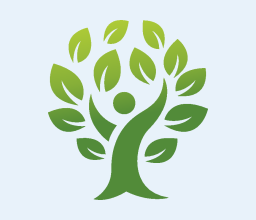 United Voices for Children is a coalition of congregations, agencies, groups and individuals in the Northern Illinois Conference of The United Methodist Church that speaks and acts on behalf of children, youth and families in need. The youth panelists from United Voices for Children (UVC)’s August 25th workshop, Colors of Love: Raising Children in a Racially Unjust World--Jaelyn Pirtle (Gorham UMC, Chicago), Lucy Hermann (Trinity UMC, Mt. Prospect) and Abigail Mendoza (First UMC, Park Ridge)--were interviewed on a recent Different Drummers show produced by Greater Chicago Broadcast Ministries. 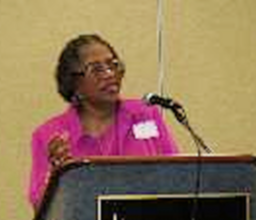 Registration is open for the Colors of Love: Raising Children in a Racially Unjust World training event coming up on Saturday, August 25, 2018 from 8:30 a.m. to 1:00 p.m. at First UMC in Elmhurst, Illinois. Register by August 22nd at the link below. The $25 fee includes lunch. I am always on the lookout for engaging ideas for Children's Messages during worship...plus it is important to help our children and families make important connections to giving and receiving as people of faith. Recently, I was able to do this during the month of December--a great time of year to model giving and receiving! 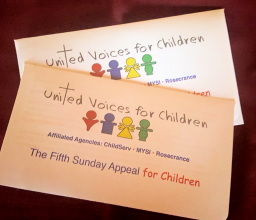 Plus, December has 5 Sundays in it, so I knew there was an opportunity to promote the 5th Sunday Appeal for United Voices for Children. Churches often mark the end of Christmas with a retelling of the visit of the Magi, or wisemen, on Epiphany (January 6). The Magi’s support and savvy may make them the earliest recorded child advocates. 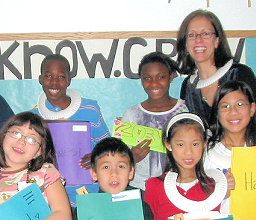 They serve as an example of how we might advocate and support children in Illinois throughout the coming year. The first step along the path of improving well-being is to identify your core signature strengths. Cross-cultural research has identified 24 character strengths in the areas of wisdom, courage, humanity, justice, temperance, and transcendence. Some examples can include a love for learning, honesty, kindness, leadership, or even hope. By understanding and deliberately utilizing our core strengths on the different life tasks in positive psychology, we can find joy and meaning in life in a way that feels compatible with our personality and who we are.